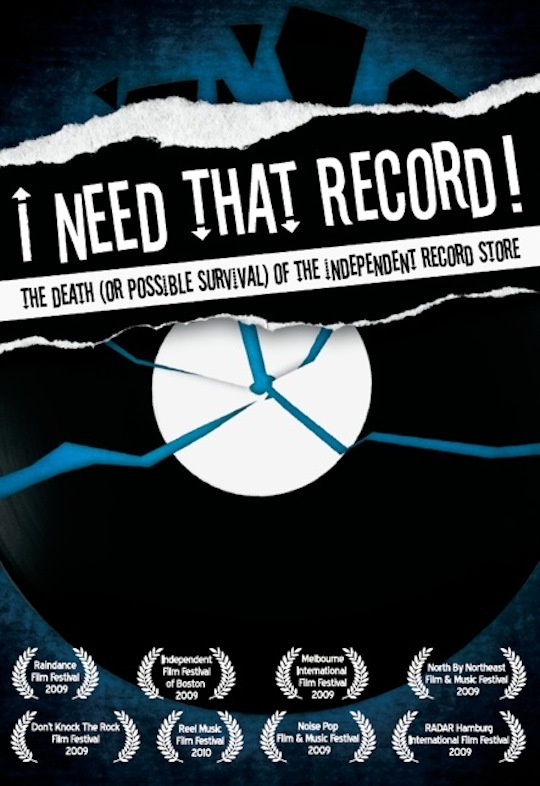 Brendan Toller’s documentary entitled I Need That Record! The Death (or Possible Survival) of the Independent Record Store examines the trend of closing independent record store and other similar small businesses. The documentary, which was has already been released to independent retailers and featured at a number of prominent film festivals, is scheduled for mass availability on July 27th. Visit the I Need That Record! website or go grab a copy of the DVD. Hit the break for the documentary trailer! This looks like it will be very interesting. Most independent artists depend on the indie record stores like vamps on blood. Critical for survival. The indie stores will play and support your music because they’re in your community and will benefit from the fans you bring through to purchase your music. With digital being such a popular method of acquisition now for all music big and small, the indie record stores are suffering (as are the indie artists) Will have to check this out to see if it offers solutions or shares a trend that indi stores are moving to for survival. Looking for Mistah Mainy? Find him @ http://www.realizme.com GET THERE NOW!! !